Thrill seekers will love Redline Indoor Karting! 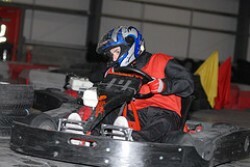 All levels of karting ability are catered for! Enjoy racing around our amazing track. Bring friends and family for an amazing day out. Perfect for birthday parties!